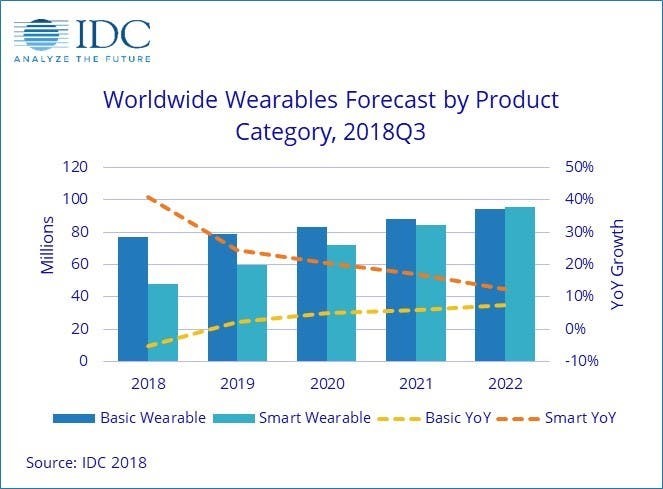 A few days back, IDC data show that global smart wearables shipments are expected to reach 125 million units in 2018, an increase of 8.5% over 2017. They also estimate that in the next five years, smartwatches will continue to grow, and smartbands will almost remain unchanged. The data show that emerging markets are increasingly adopting wearable devices. Smart wearable devices will grow at a compound annual growth rate of 11.0% in the next five years, and shipments in 2022 will jump to 189.90 billion units. As for the smart wearables OS, with the rise of other platforms, Apple’s WatchOS share will fall from 44.4% in 2018 to 35.8% in 2022, but will still maintain its leading position. It is estimated that by 2022, the second largest operating system will be Android with a market share of 22.4%. The Android camp still has the problem of system fragmentation, but it also has some benefits such as the open source platform provides manufacturers with an opportunity to customize the wearable device experience while also creating differentiation. A clear example is that Google’s services are not available in China, and many local brands have begun to make some localization attempts on WearOS (Google’s watch system). IDC expects that these devices will spread in many other countries. 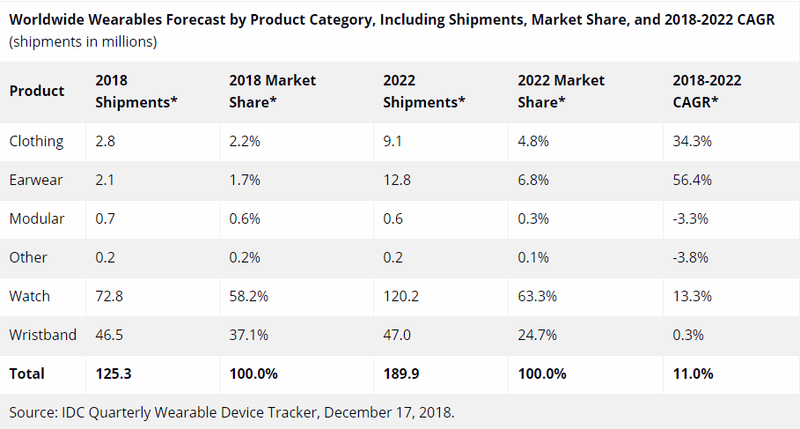 As more suppliers begin to offer products and the platform is functionally catching up with competitors, WearOS is expected to account for 19.8% of the market in 2022. According to Ramon, IDC’s research director of the wearable device team, the main role of smartwatches is still to actively provide users with viewable information, which is more convenient than smartphones. 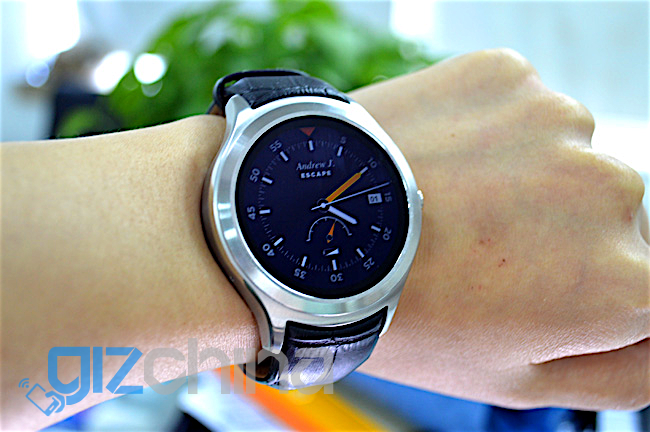 Second, smartwatches will provide new ways of communicating between users. Third, the smartwatch operating system will emphasize connectivity, not just the connection between users, but also the connection between the wearer and other smart devices and systems. Finally, smartwatches play an increasingly important role in health and detecting underlying diseases. IDC expects the smartwatch sales to reach 72.8 million units in 2018, accounting for two-thirds of total wearable device sales. It is estimated that by 2022, the total shipment of smartwatches will reach 120.2 million. In addition to smartwatches, hybrid watches and some children’s watches will continue to ship in large quantities. From 2018 to 2022, the annual growth rate of smart bracelet products will remain at 0.3%. The increase is small, but it is expected that by 2022, this category will still account for 24.7% of the total sales of wearable products, with a total sales volume of 47 million.